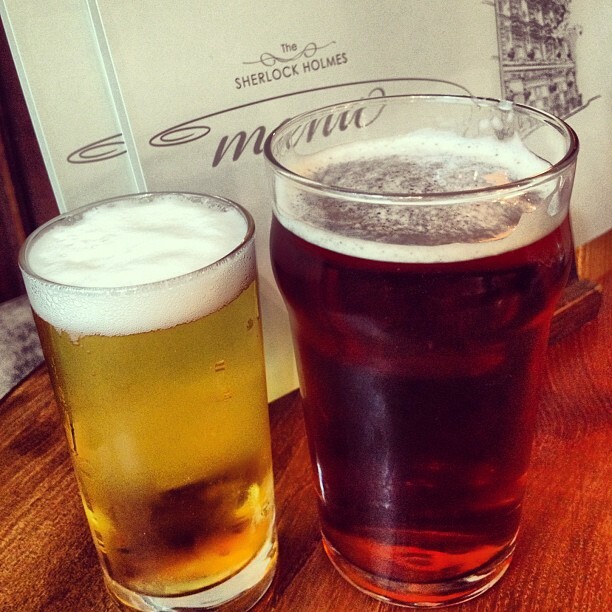 After Wales, we had a one day layover in London on our way to Switzerland, so we decided to wander around the city, have a pint at The Sherlock Holmes Pub (Gareth’s favorite) and then find dinner. We ended up coming across a really cool outdoor market called the Real Food Festival that was full fresh, homemade foods and delicious drinks. We ended up getting two glasses of bubbly and ordering from The Polish Deli London (www.thepolishdelilondon.com). 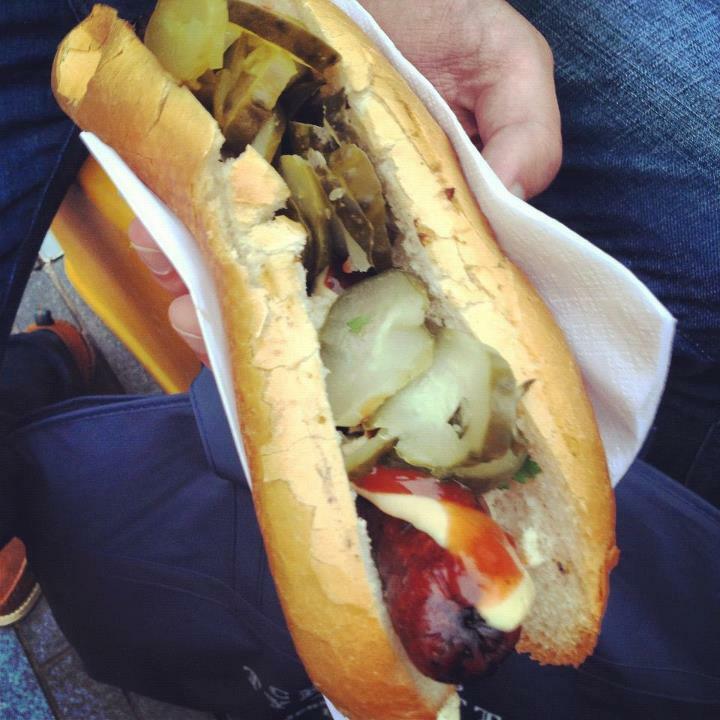 Gareth ordered a sausage in baguette served with ketchup, mustard and pickles. 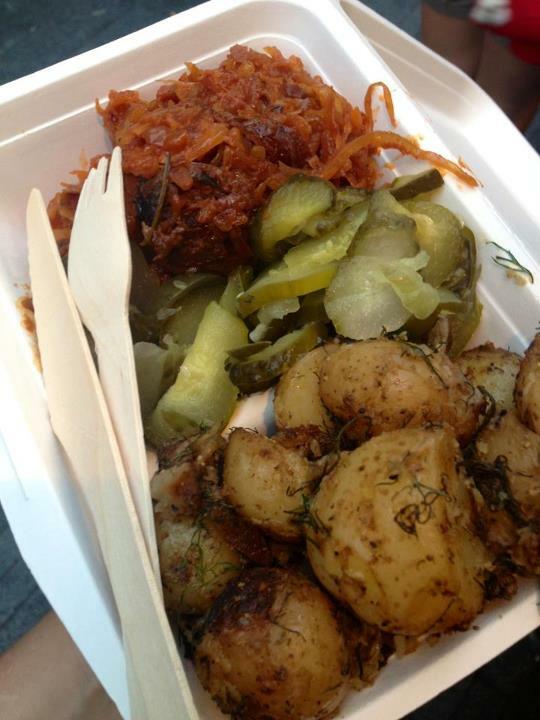 I ordered sausage in sauerkraut with dill potatoes. 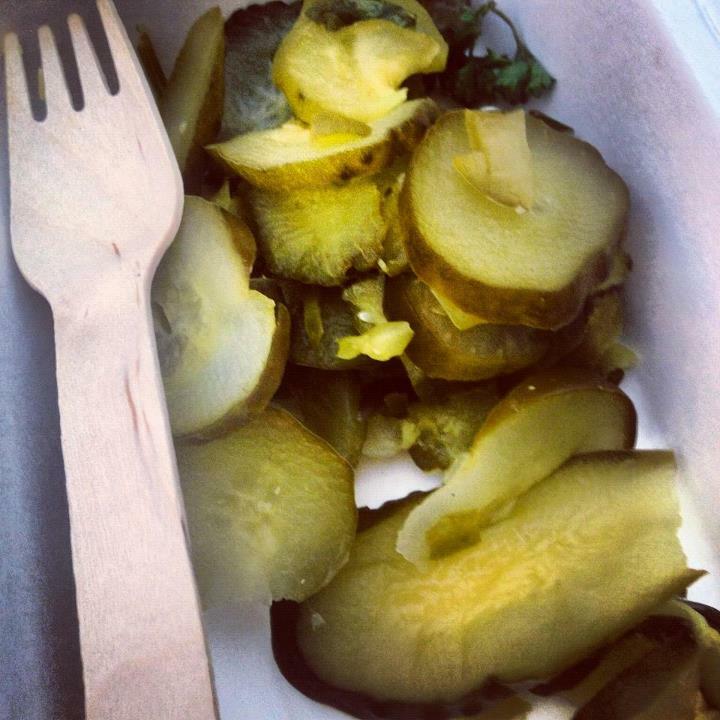 I spotted some good-looking pickles so asked for some of those as well, of course. If you know me, you know I love salty foods, so this meal was pretty much made for me. Not only that, but the pickles were the BEST pickles I have ever had. They were salty, tangy and crisp. I went back and ordered a side of them (something that was not on the menu) and although he looked a bit confused, he gave them to me for just £1. I was in heaven. This was a good day in London. ← Honeymoon Part 1: Wales.